Nub-ra: the western district As we cross the Khardung La and leave the high altitude behind, the landscape changes and we are well and truly on the road to Nubra. The snow from the glaciated mountains feeds little streams that irrigates the land, leaving patches of white and green. 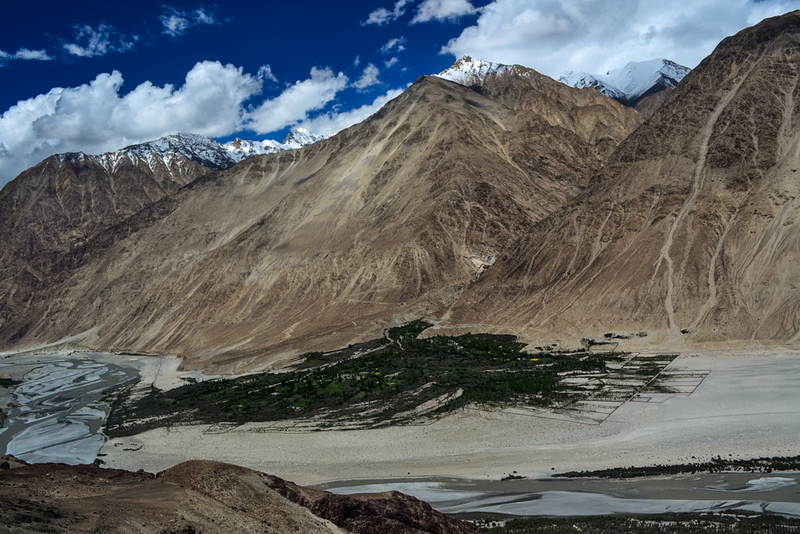 Set against the deep blue skies, the scenery is a welcome relief from the dirty brown monochrome that is Khardung La. 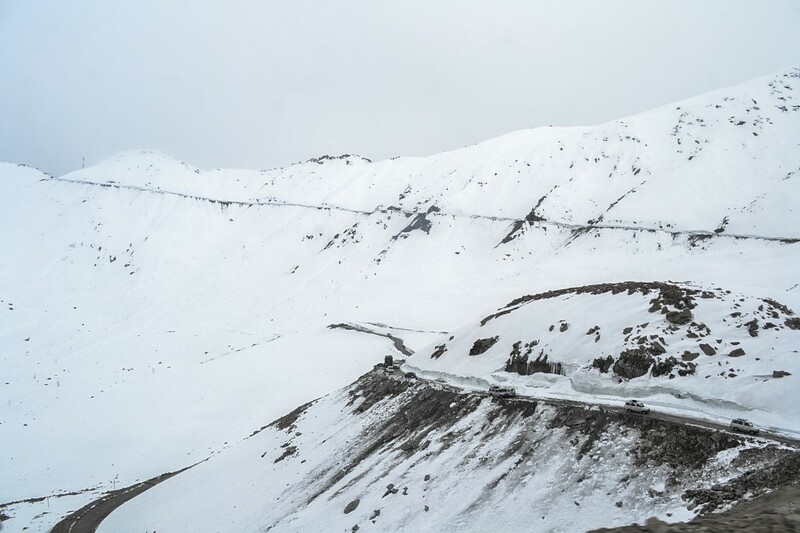 Why do people talk about the Khardung La with trepidation and excitement in equal measures ? My experience made it amply clear. 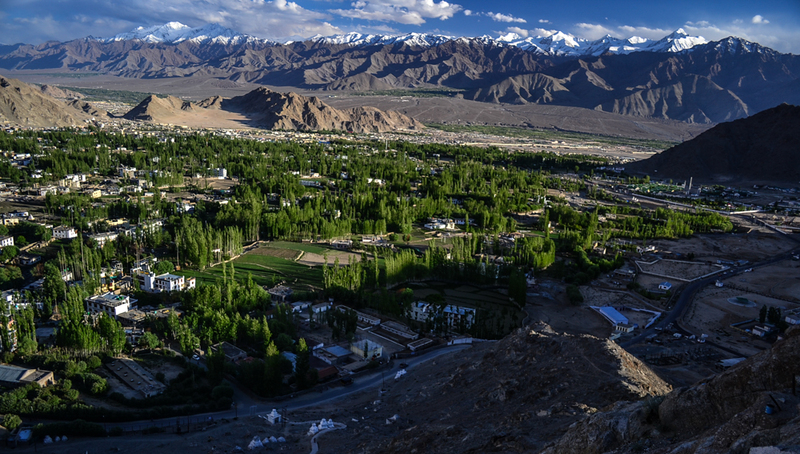 Read on to find out why..
A glance at some of the tourist attractions in and around Leh town.